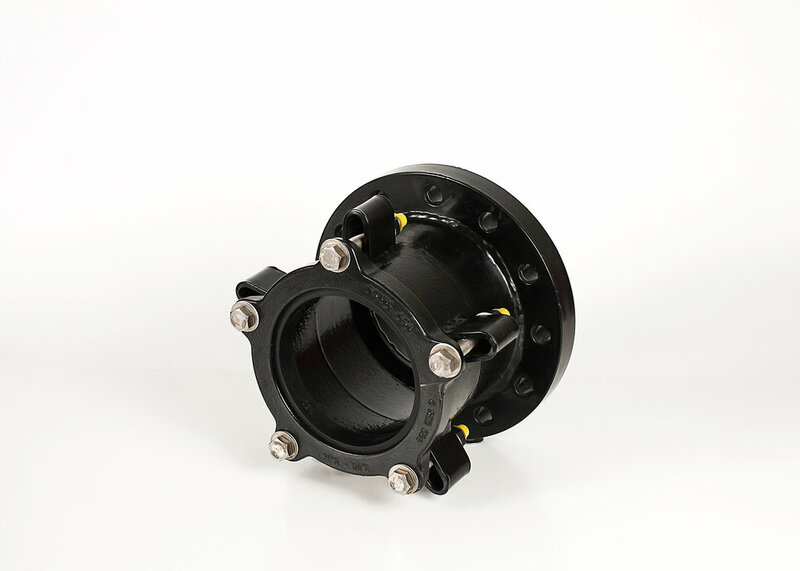 Fabricated steel flanged coupling adapter. Meets AWWA C219. USE Flexibly couple plain end pipe to flanges. COMPATIBILITY Steel, cast iron, asbestos cement, plastic and other types of pipe. 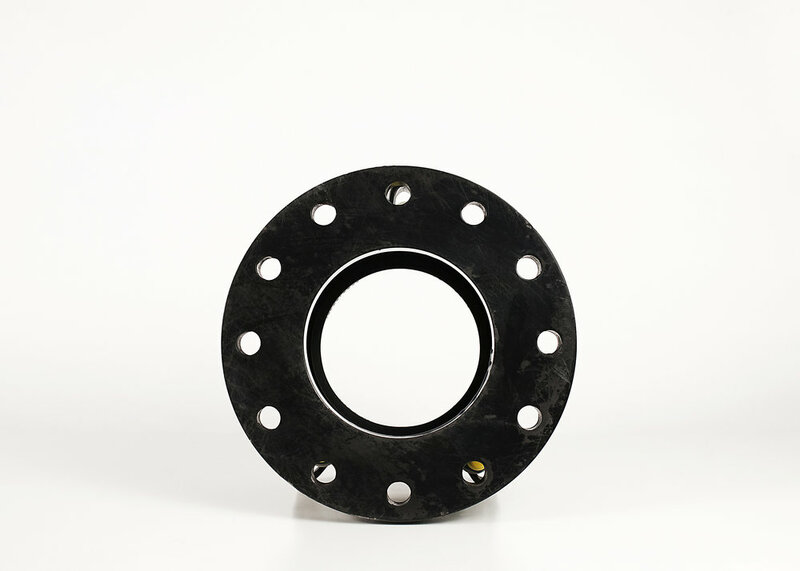 FLANGE AWWA C207 Class D, meets the dimensional requirements of ANSI Class 125 and 150 bolt circles. Higher pressure ratings available. Bolts, nuts and gaskets for flange end not supplied. Other flanges available. 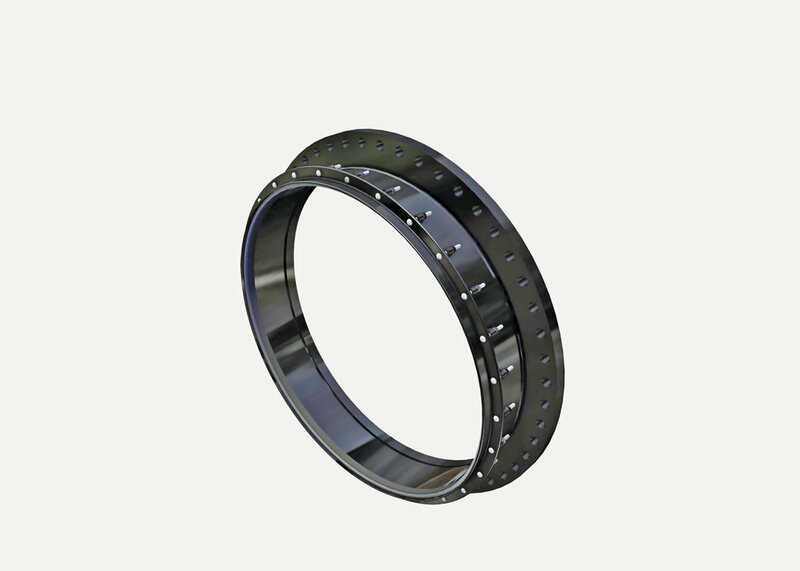 END RING AND BODY The end ring and body are made from ASTM A 36 steel or ductile (nodular) iron meeting or exceeding ASTM A 536, Grade 65-45-12. When anchor pins are requested on FC400's, the wall thickness of the body will be 3/8". BOLTS AND NUTS High strength low alloy steel bolts and nuts. Steel meets AWWA Standard C111. Type 304 and 316 Stainless Steel bolt material optional.